Yeah...I wish. Don't know who owns it - no "for sale" sign on it, unfortunately...but it is in fact the car of my dreams. This was metro cruise weekend when 28th street becomes visually enticing and mostly impassable due to the huge influx of classic cars. If you're going to render a major thoroughfare pretty much useless for a couple of days, this is at least a cool reason for so doing. 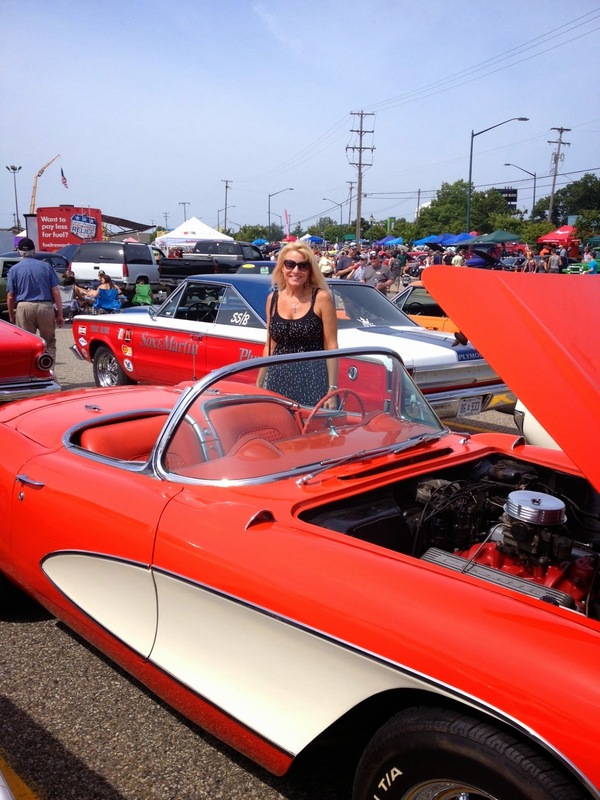 Besides all that classic car eye candy driving up and down 28th street, they have a huge display of them at Rogers Plaza, and late Saturday afternoon Karen and I wandered the dozens of beauties from a bygone - and yes, better - era. 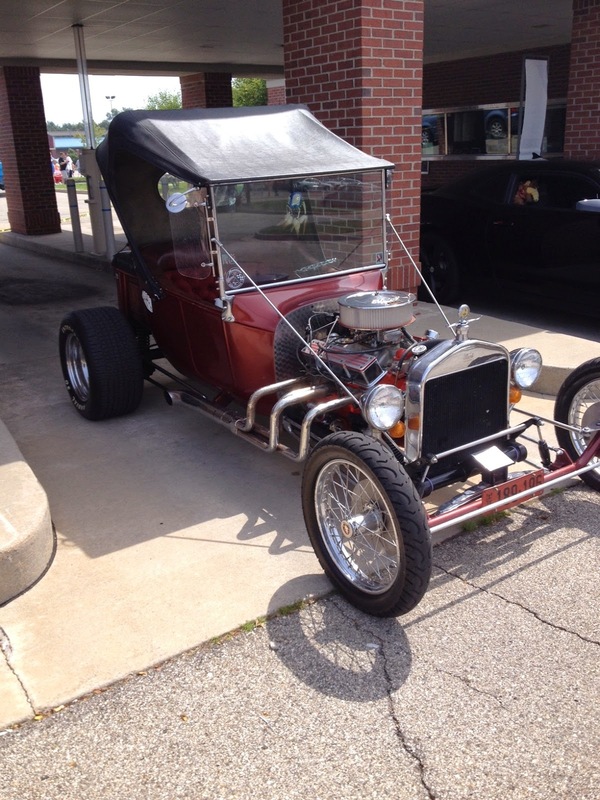 A Model T roadster, another of my faves. While very cool to see and lust after, it's also pretty sad when you think about it...we used to produce some beautiful, even stunning, cars in this country...now everyone drives these generic egg mobiles. Bo-ring! Not to mention, stupid. O well...the decline of our once great nation continues on every front. Notwithstanding this sad truth, the rest of our weekend was pretty good. Friday we did in fact do the slow crawl up and down 28th street in the metro cruise just to say we did...and then we opted for our usual fire in the chiminea and relaxing outside by the pool...Saturday I was up early, shortly after 6 am...this was upgrade weekend with a major software installation, and besides, I just don't like to sleep in on the weekends...they fly by too fast as it is without sleeping half of them away. So I got outside early after checking on system issues, and opened up the backyard...turned on all the fountains, filled the bird feeders, put out peanuts for the squirrels, etc. I admit three videos in a row is overkill, but at the time I was taking them it seemed like a good idea so I'm going with it. Saturday night I attended the Greek festival downtown as part of a company function to honor some of our employees who help put company functions together...it's a lot of extra work on their part, and they do a great job so we wanted to have this event as a way of saying "thank you" to them. So if three videos in a row is too much, why not go with four? This was one of the musicians there playing a traditional instrument - which name escapes me at the moment - but pretty much everything sounds kind of like Zorba's Dance, so it was all good. Along the way there was lots of wine, music, food, and laughter, and a good time was had by all. 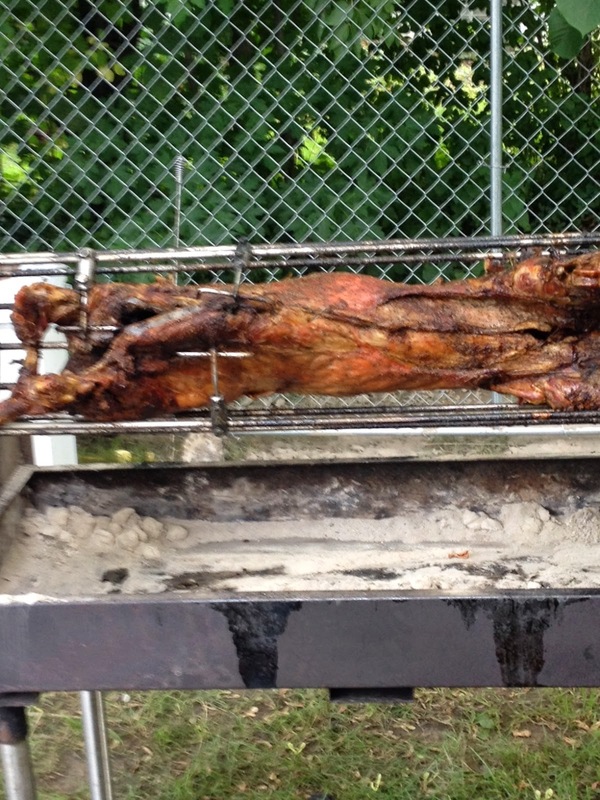 Gotta love those greeks...they know how to par-tay. When I got home from that Karen and I watched a Marilyn movie...a kind of documentary about some of her personal writings that were recently discovered in storage. Didn't realize more than 1,000 books have been written about her, and she continues to be one of those most famous, recognizable, and tragic figures in our society. I hope O'reilly decides to do a Killing Marilyn book like he's done with Lincoln, Kennedy, and others...I think there was something very sinister there involving both the Kennedys (JFK and Bobby), and it would be satisfying to finally get at the complete truth surrounding her death. 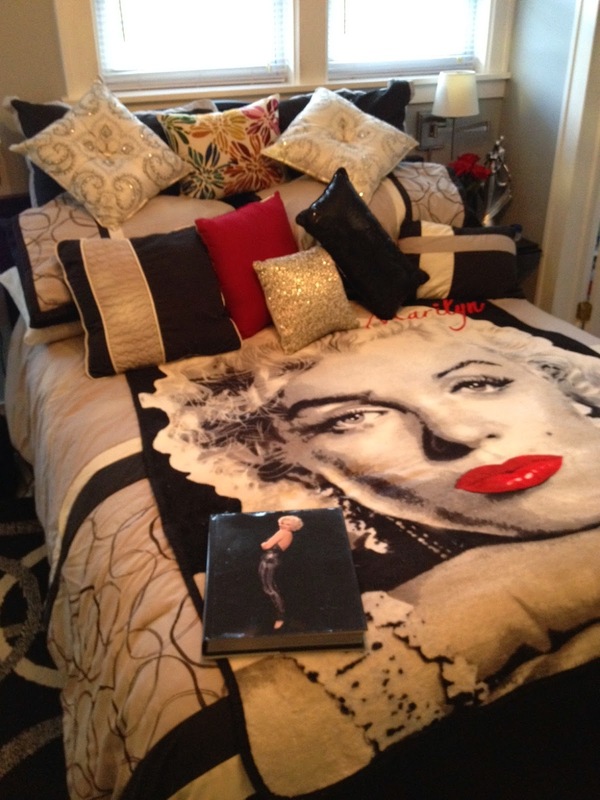 On a happier note, did you know we sleep with Marilyn every night? Today was more work upgrade stuff, and it has not gone as well as we hoped...lots of work and last minute issues, but I think we're on track for a go live tomorrow.